In the case of the people working on your wedding a lot. There can be many individuals with the same or similar titles, yet different jobs. Confused? Me too! Let me attempt to sort through this quagmire for you. Below are few job titles you may run across (This is not a complete list). I did not include a job description for each title, I like you too much to torture you that way and it wouldn’t help they are too varied. Why have such similar job titles, if the roles are different? The reasons vary from company to company, region to region, business type to business type. Some would say, to align jobs with pay scales; others might say to unify job titles in a company or industry. If you were to hold my IPhone hostage until I told you what I think the real reason is I’d say its fear of losing business. But that answer was under duress, after all, I love my IPhone. I know those answers are unsatisfying. I sincerely wish I could give a simple straight forward answer there just isn’t one at least I haven’t found it in the last 30 years. Getting a clear understanding of what you’ll be provided is what matters. Here is one example, the gentleman with the job title “wedding planner” at your venue, let us call him Simon. Simon’s job is not the same as mine; even though we have the same job title. The main difference: I work directly for you, he works for the venue. Meaning my primary job responsibly is to get you the wedding you want at the best possible price, his job is to give you the wedding you want by helping you spending as much money as possible in the venue. My job is to protect you and your vision; his job is to protect the venue. Don’t misunderstand there is nothing wrong or unethical about his job. Most venue wedding planners I know are great, very professional, and they want you to be happy. The point, although we have the same job title we have different job functions and priorities. If you assume a job title gets you all the same services, you could be terribly disappointed. That assumption is likely to get you one of two results: either a bill you were not expecting or you’ll find yourself, your friends and family running around on your wedding day doing things you assumed were “included” which are not. In the case of our friend Simon, you might imagine he will coordinate your wedding party, wrangle your family and send you down the aisle on time. When his actual responsibility is making sure the chairs are set up correctly for the ceremony and keeping your guests from walking in the flower beds. Although Simon might coordinate your wedding party out of kindness, or to avoid disaster, if you look at the contract he most likely doesn’t have to do it and you should not assume he will. Nor should you ask him to do things he is not paid to do, why? He is not your friend he is a professional being paid to do a specific job by his employer. You are a customer of that employer, not Simon. What you are asking may get him in trouble with management, or he may not be qualified to do what want. Even if he agrees don’t assume it’s free. I hear you, “why don’t they tell us this stuff up front! Why do we have to ask?” Everyone you encounter in planning your wedding should explain what they will do for you and give you an estimate of the cost. For them to do that, you have to know what you want and more importantly need. Never expect anything is included if you don’t see it in writing. 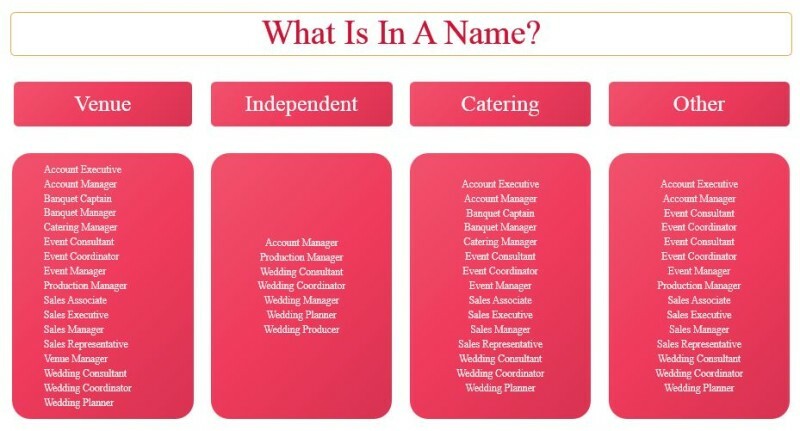 Not just job titles I mean you need an explanation for the services they will provide before, during and after your wedding. Wedding professionals can’t know what you assume, they don’t know what you want until you tell them. At the beginning what you want may different greatly from what you want and need by the end. Wedding planning is a process, during the process things change, you should never expect changes are free. 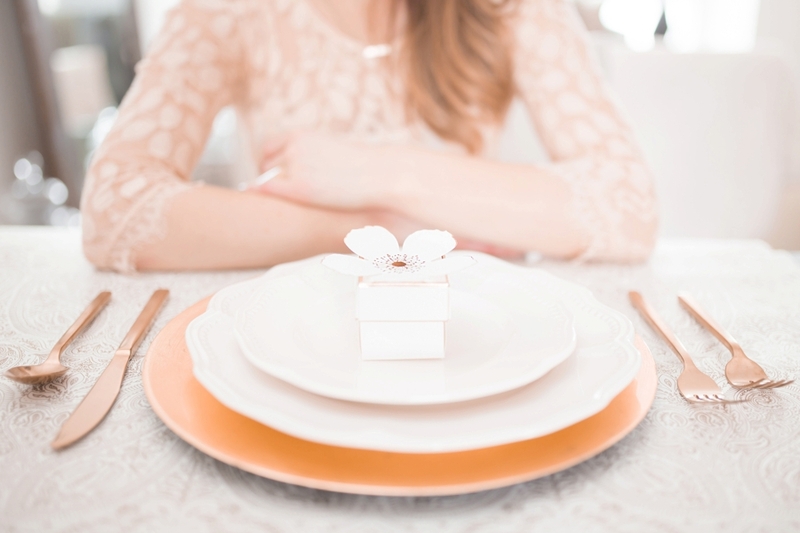 Getting a clear understanding takes you and the wedding professional agreeing on what you need, want and can afford for each of them to do for you, no matter the job title. So what is in a name, everything if you don’t ask! « Why Do Weddings Cost So Much? Choices My Friends Choices!